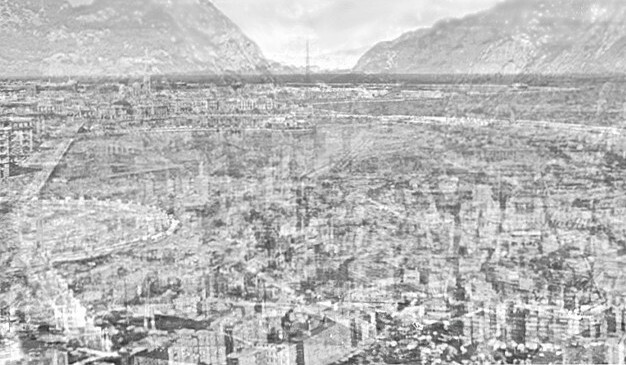 A merging of views from twenty Italian provincial capitals. I searched for a contemporary ideal city in Italy. I have not found none. I then summed twenty politically representative towns of the country. What I found is an effacement of architectures and landscapes. Only an isolation of figures can lead to a neat scene of a city view.